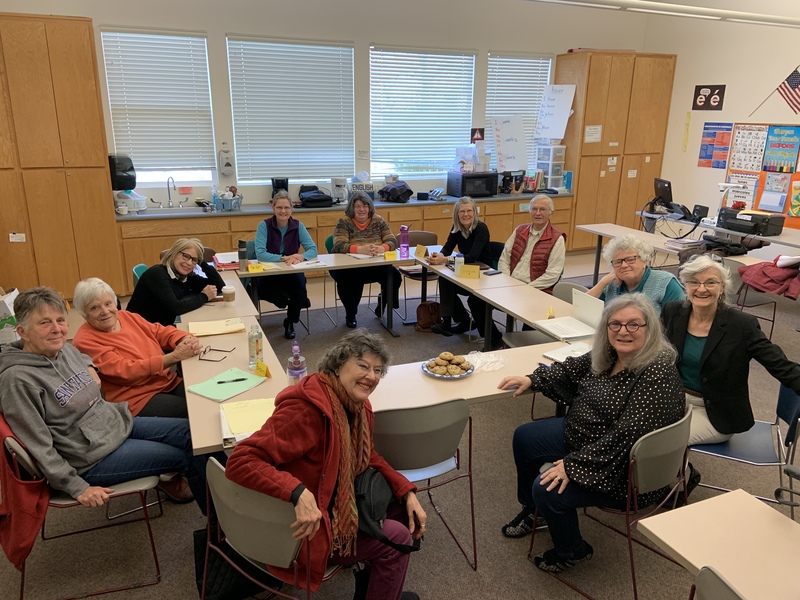 Mama returned to her Memoir Writing Class this afternoon after a hiatus, and I got to walk her in and meet everyone! I made my special cherry chocolate chip cookies for the occasion and they were a hit. Though I know a couple of these smiling faces, most of them were new to me. As her classmates joyously welcomed her back, I was moved by their kind words about how much they’ve missed her presence and her memoir stories. It’s such a warm fuzzy feeling to meet other people who love the people you love. For those of you not in her class: My amazing Mama, or Jude as she’s known to the rest of the world, is an enchanting writer and shares her adventures on her blog, Giuditta in Italia. Today’s #OneGoodThing was a happy return and cookies for Mama‘s Memoir Writing Class! What was your #OneGoodThing today? Please share in the comments! Day 38 of 365. And Day 1,134 in a row (here’s the first 366, & the following 365, & the third year of 365 good things)!